It's taken its time getting there, but Spotify has finally hit Japan - an incredibly long wait for the world's second-biggest music market. 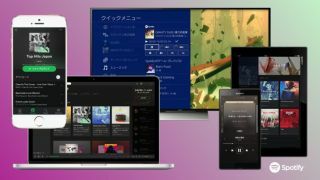 While that news may mean little to those in the Western world, where Spotify music streaming has trounced the competition since launching in 2008, the Japanese launch does bring with it the unveiling of a much-requested feature - on-the-go lyrics support for the Spotify mobile app. Spotify is taking karaoke out onto the streets. Spotify previously offered up lyrics through MusixMatch integration on its desktop player, which was axed in June of 2016. Which makes the lyric addition particularly interesting - currently, the desktop option only states the service is making "big improvements", so the Japanese launch suggests some movement has been made there. However, Spotify has yet to state whether there will be a global roll-out for the feature to follow. But it's easy to imagine it's on the horizon, given the love the former desktop feature enjoyed. With Spotify now hitting Japan, the service has reached 60 territories worldwide, amassing 100 million users in the process.